A complete set of tote tickets for eight races with eight runners per race. Each runner has 100 tickets, clearly numbered for ease of use. 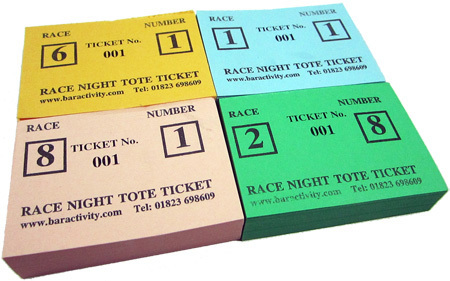 Total of 6400 tickets, which for many pubs is enough for three or four race events.